Rose Comb Black Stars got all the gloss. Their black feathers are silky-smooth and shine iridescent purple and green. ​ Unlike the traditional Black Star, the Rose Comb Black Star, as its name indicates, has a rose comb. They are more compact, fluffier birds than traditional Black Stars. 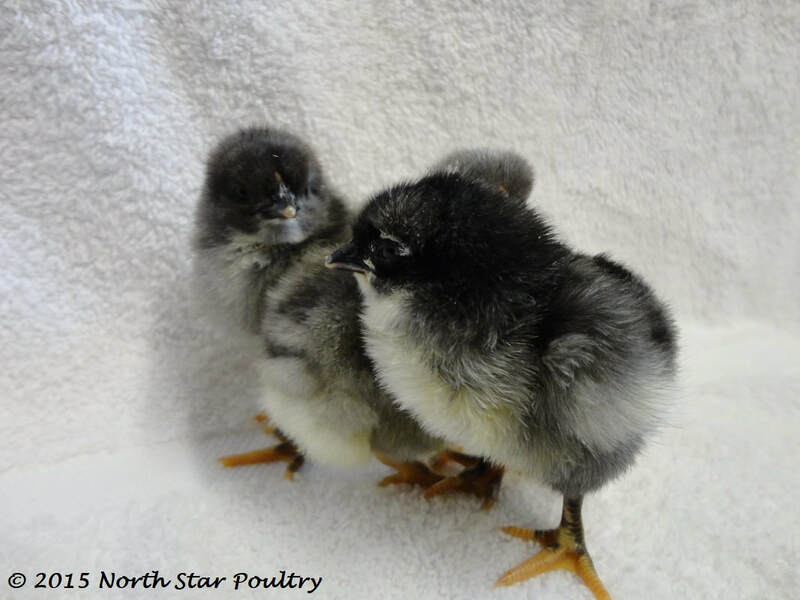 ​ Chicks are black with appealing white markings and sometimes gold on their faces. ​ Adult hens are iridescent black, often with a bit of gold around the throat. They have dark eyes and slate-colored legs. They are calm but active.